2HP module featuring 3.5mm jack type midi clock output and a x24 clock and run jack outputs. 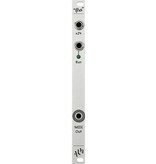 The jack outputs can be used to sync a second Pamela, derive a Din Sync output signal via an ALM D.S.G or adapter cable. The 3.5mm jack can be switched between differing 3.5mm MIDI configurations by reversing the jack connector on the rear of the module. 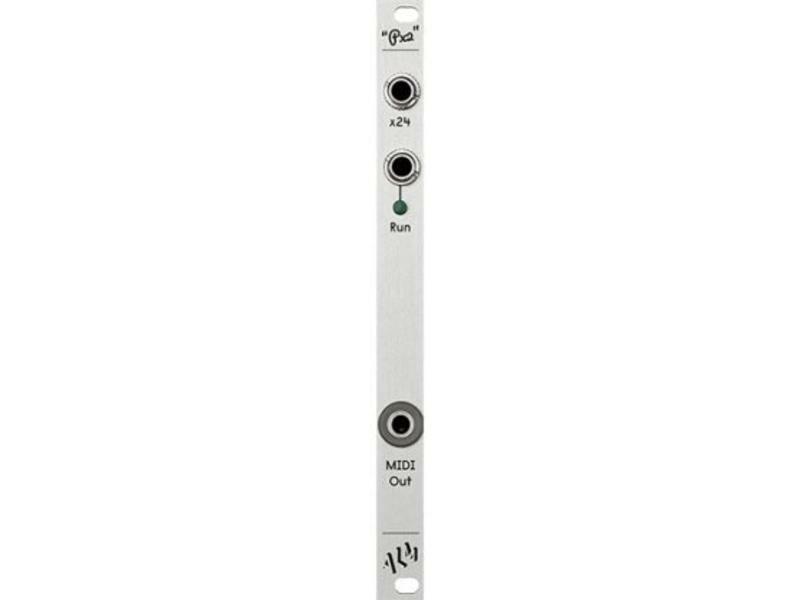 Matching the connector indicator to the ‘*' on the board will work with Arturia devices whilst reversing will work with Korg and Make Noise.